This was my second project using the FARO arm, and the first done with the benefit of my Brunson Tetralock 400S-D Portable Stand. The stand itself is a thing of beauty, it’s rock solid and only weighs about 20 pounds. The 3-1/2″-8 thread on the top is made for newer arms, so I had my friend Aaron Burhoe of Burhoe Machine Works cook up an adapter for me which matched the thread on the stand with the bolt pattern on the base of my arm. 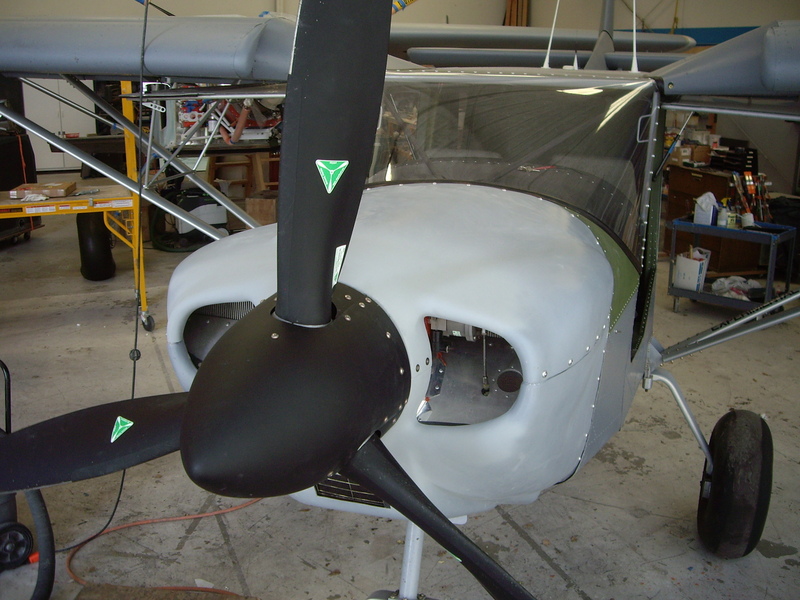 It took me the better part of two hours on the Lancair custom wingtip job just to get the FARO arm fixture in place and stable, so I really appreciated the ability to setup quickly and easily, with no worries about stand stability. The customer was complaining of high CHT’s on this Zenith 801. 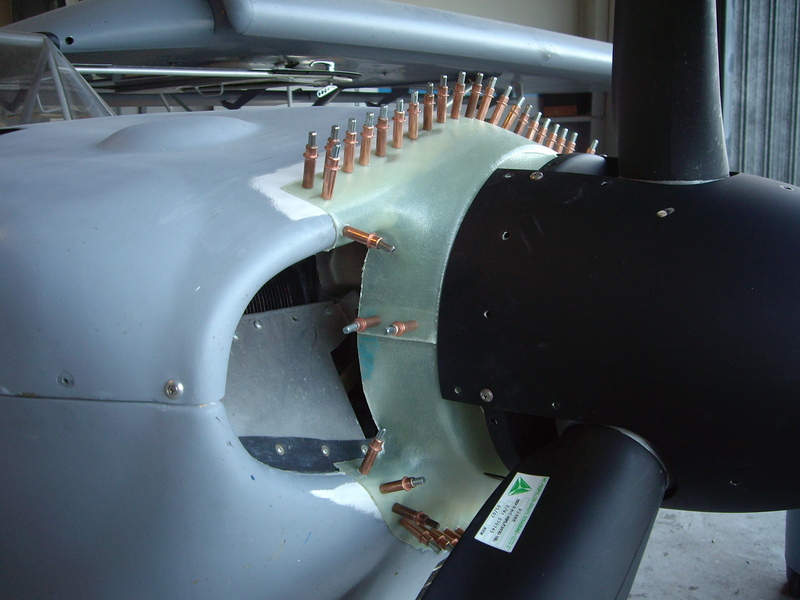 The cowling he had installed had no “spinner ring” to keep the incoming air from dumping right down below the case. 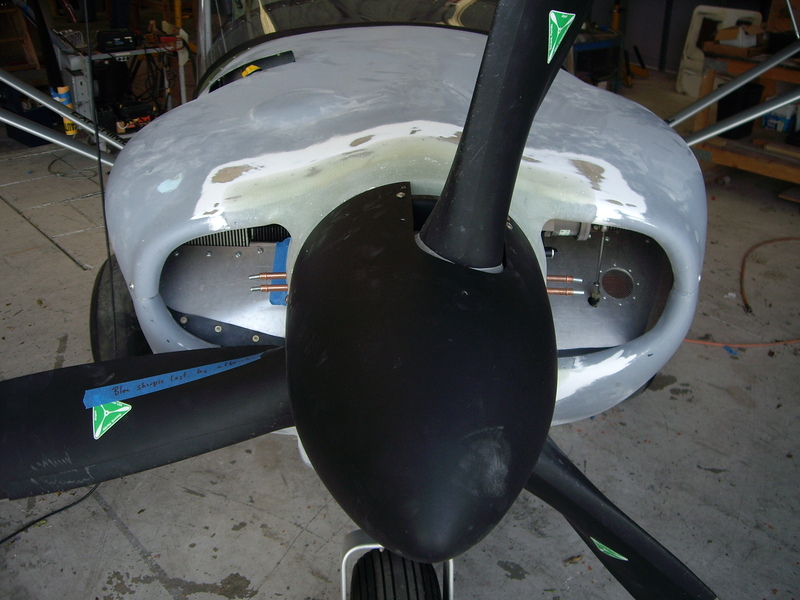 Since the Lancair project had gone so well, it was decided to again use the FARO arm and CNC machine molds for a two part add on to the cowl. As you can see in the photos below, this was the first project where I decided to really plan out the capture points I would be gathering with the FARO arm. 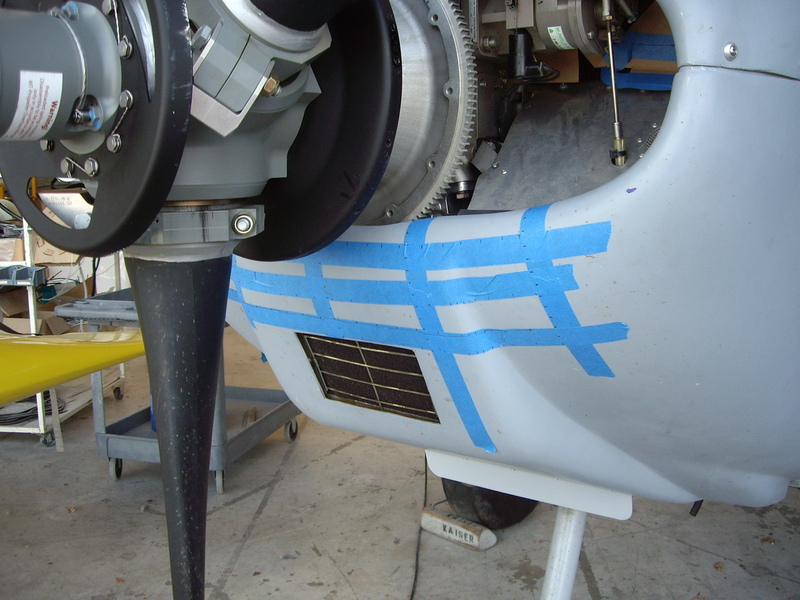 Blue tape was used, and points were marked off at even intervals. With those giant tires I remember being very worried that the plane would shift during capture. 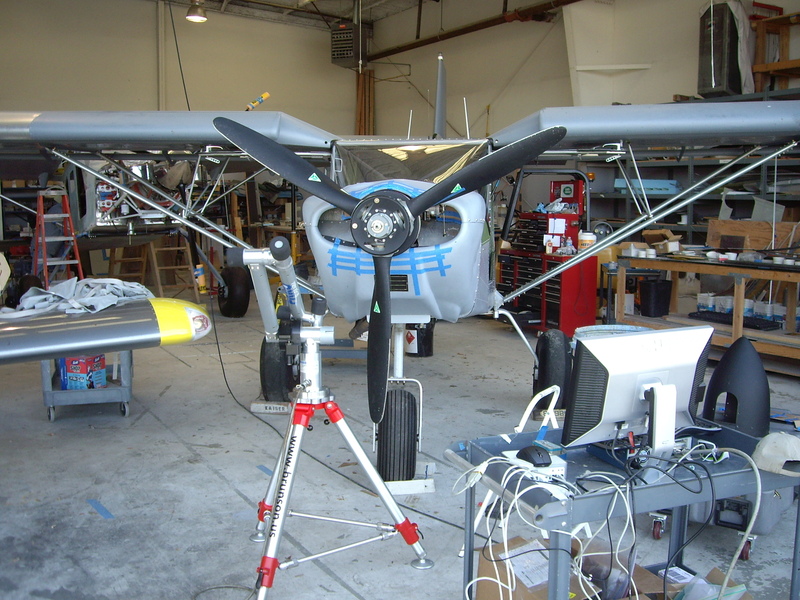 If I had to do it over again, I would get jack stands under the ends of the landing gear mains and nose gear forks. 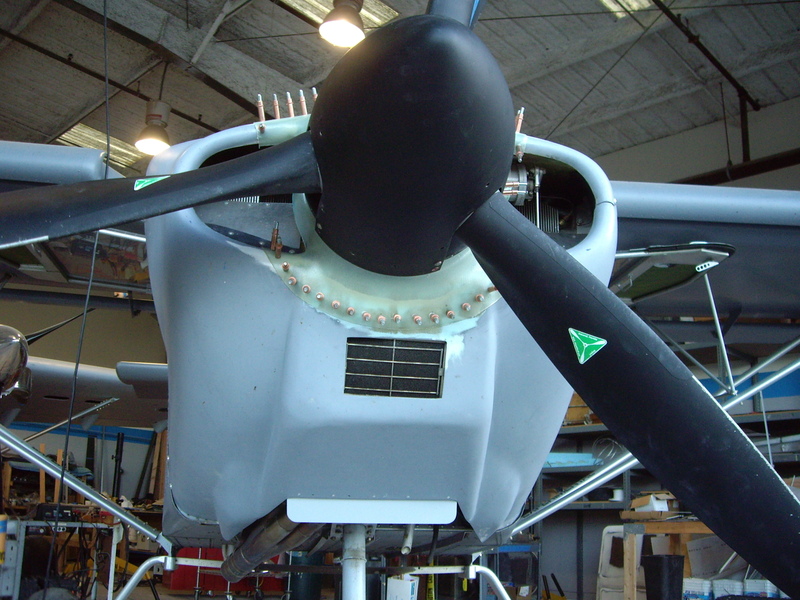 Although, with the 801, the nose gear has this giant bungee up inside the firewall, which has no lockout. I suppose sometimes you just have to do the best you can and hope it works! Going back through all my photos, I can’t for the life of me seem to find one single picture of the molds I made for this. 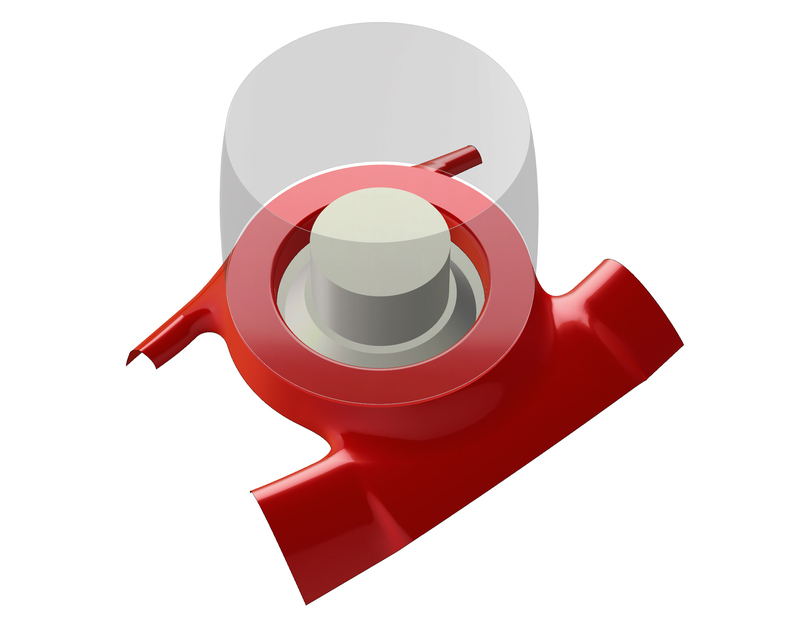 What I can tell you is that they were machined from my material of choice for one off tooling – Dow Surfboard Foam. Dow Surfboard Foam seems to be used mostly for drive in freezers for cold storage, and never ever for Surfboards. It’s a modified blue polystyrene foam, not unlike the classic Rutan style stuff. However, it has a few nice properties. First, the cell structure is much finer than standard blue foam, which is nice for making tooling. 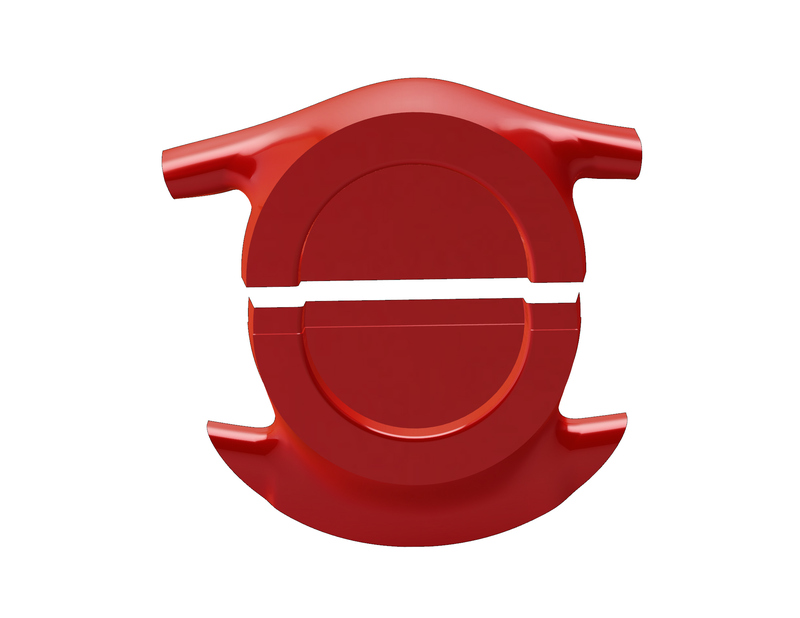 Second, it has a very impressive 55 psi compressive strength in the vertical direction – it actually has a grain structure. It’s more like 25 psi in the horizontal direction, but it’s quite sturdy stuff considering it’s only 2.2 lbs/cu. ft. It’s also relatively cheap. I buy it from Foam Sales and Marketing in Southern California and then have them simply box it up so I can get it shipped by Freightquote.com. Typical cost, delivered to me, is roughly $135 per billet, and each billet is 24″X96″X5.5″, so it’s a very cost effective material. It does have a few drawbacks however. First, it’s not solvent resistant, so you have to be sure you keep your acetone and such away from it. Second, if you cut deep on it, you will release some of the internal stresses built up inside the foam. You need to make sure that it is adequately fixtured down onto your mill so that it does not spring u during milling, and then you have to glue it to some backing board afterwards to straighten it out. Also, even at 55 psi in compression, fingernails, clumsy thumbs and wedding rings can rather easily ding and dent it. So, you have to be a bit careful with it to avoid damage. Overall though, it’s a very good material for the cost, especially when you’re only expecting to pull a handful of parts out of it. Okay, so back to the Zenair, I laid up the molds with I believe 4 layers of 7781 glass and Aeropoxy resin. 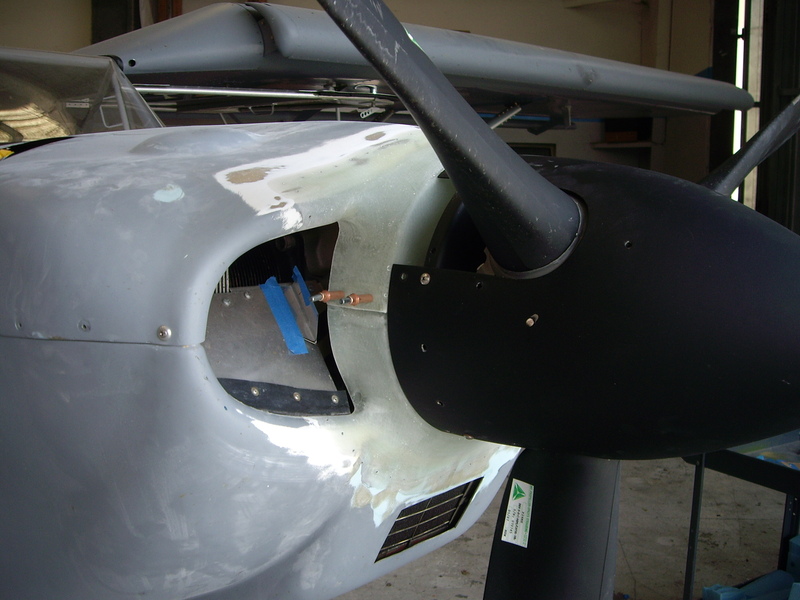 After I demolded, the real fun began as I spliced the new parts onto the existing cowling, and was very pleased with how well it fit right onto the existing structure. 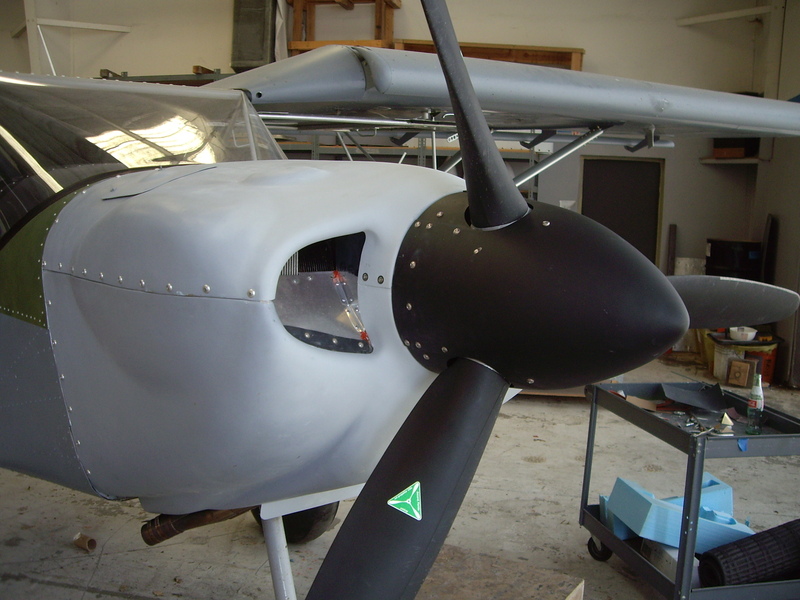 The finished work came out quite nicely, and bodyworked into the existing cowling seamlessly. 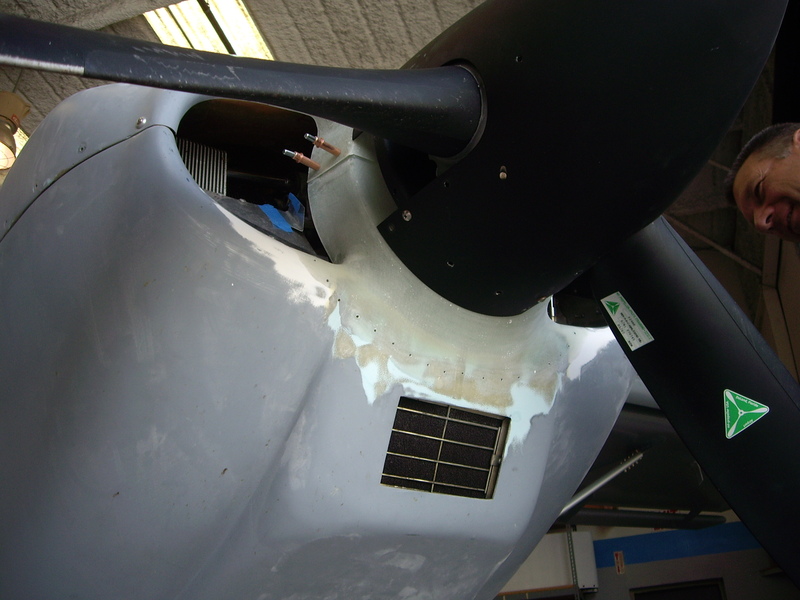 The engine temps did indeed improve and the customer reported better hot weather and extended climb capability. great job.i have the same problem on my 801. 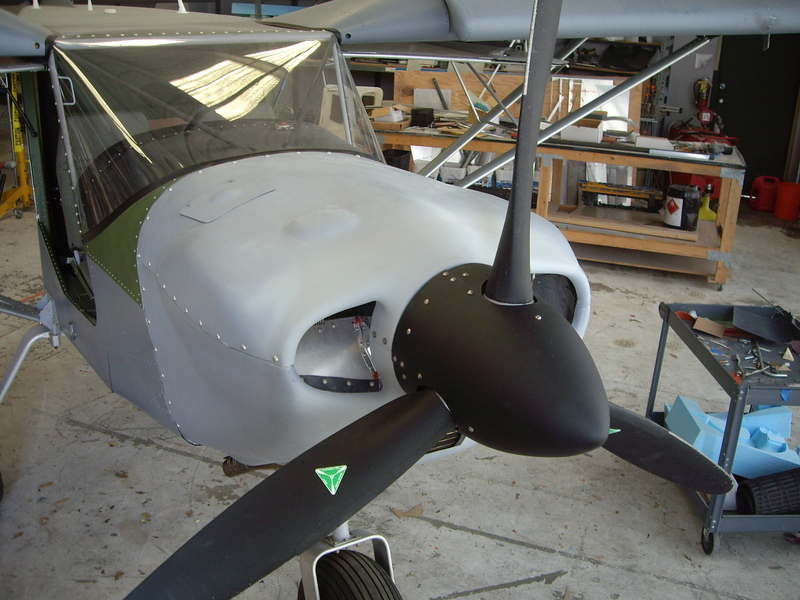 I’m not sure the one I designed would work on yours, because the existing cowling had already been modified – can you send me a pic of what yours looks like? 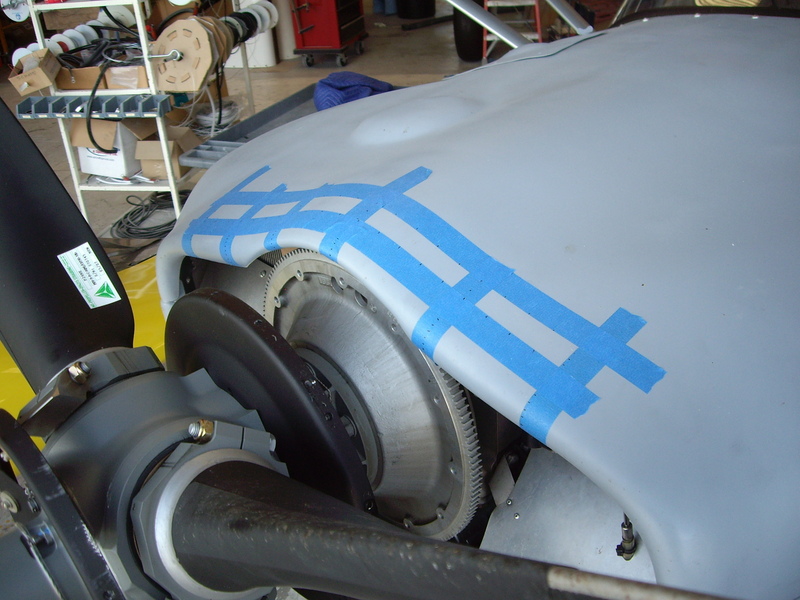 If I had to do it from scratch, to give you unprimed parts for you to install would be somewhere between $1,000 and $1,500.